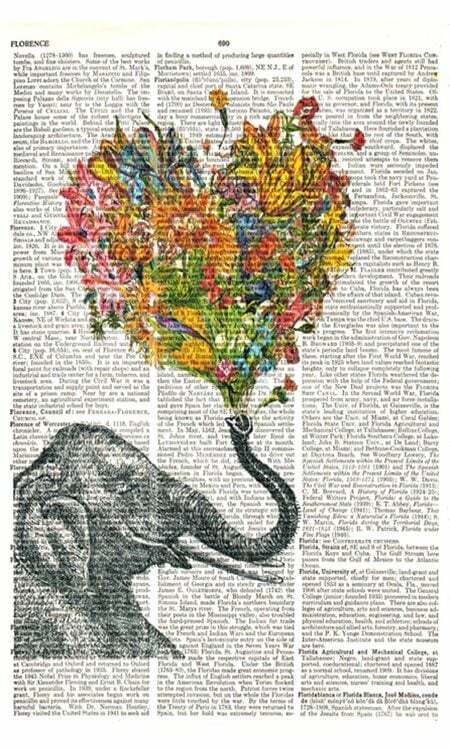 As you know, I am a BIG fan of recycled book page crafts. I have done more than one wreath tutorial, magnets, and flowers, just to name a few. I think my most favorite craft done to date is my recent book page butterfly wreath. 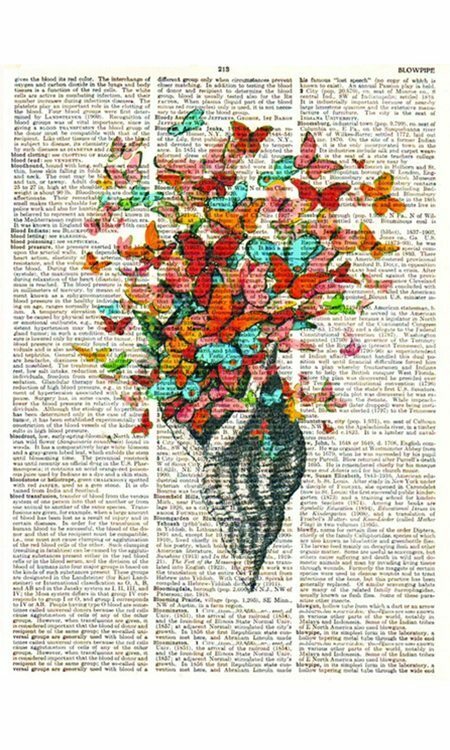 One of my favorite online retailers, Shabby Apple, not only has the cutest selection of dresses, maternity wear, and kids clothes EVER, they have an arts and crafts section with the most colorful and creative recycled book page art pieces that I’m absolutely in love with. 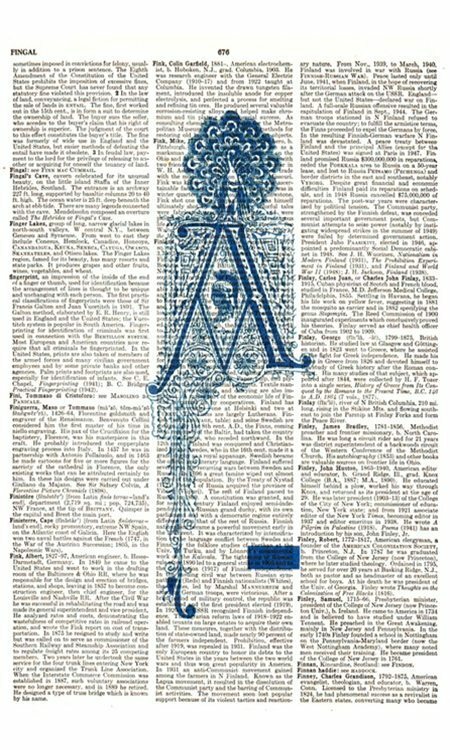 What I love about them is that they are printed on vintage dictionary pages and no two pieces are alike. As an added bonus, they are also signed by the artist, Zlatka Paneva. I may be crafty, but I’m not really an “artist”, so I decided to put together my favorite pieces perhaps you will be inspired by. This one is customizable by letter! My mother and my aunts always told me when I was little that elephants with their trunks up are good luck! This one reminds me of them. This one may be my favorite. 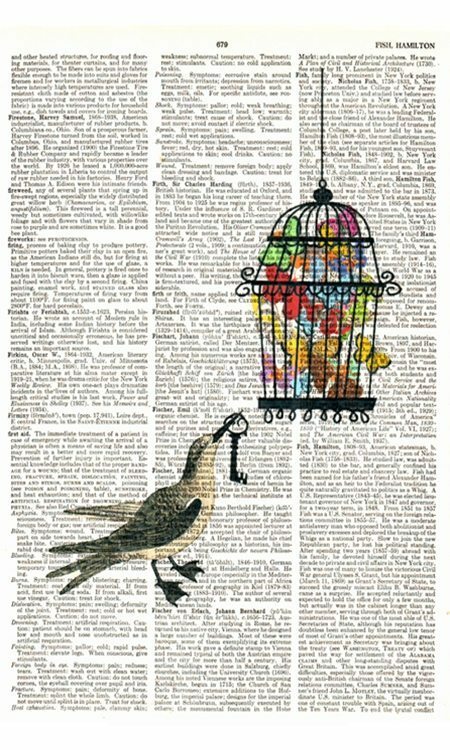 I love that the bird is carrying the key to set the butterflies free. My daughter loves butterflies and the beach. This one is dedicated to her.